This post is on next page tag. If your post is too long and you want to split it into multiple pages. Then you just need to add single line of code “<!–nextpage–>”. 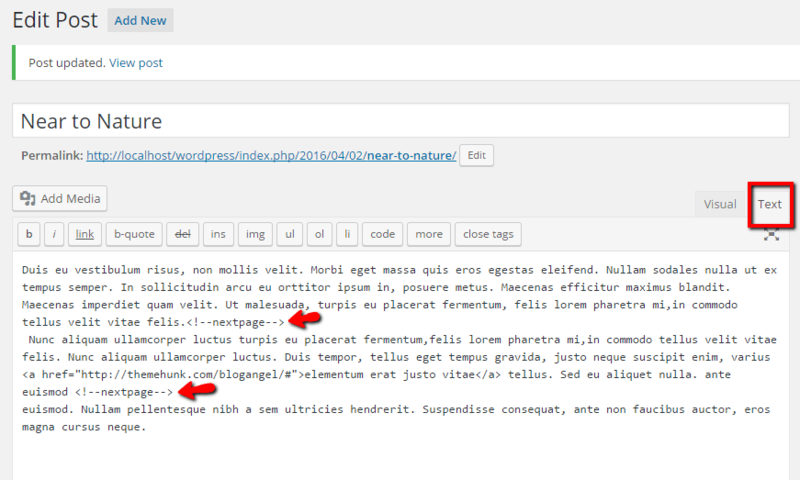 Edit your post and add code in between your post content. From where you want to split it. Thanks for reading our documentation, still you need any help you can contact our support forum.